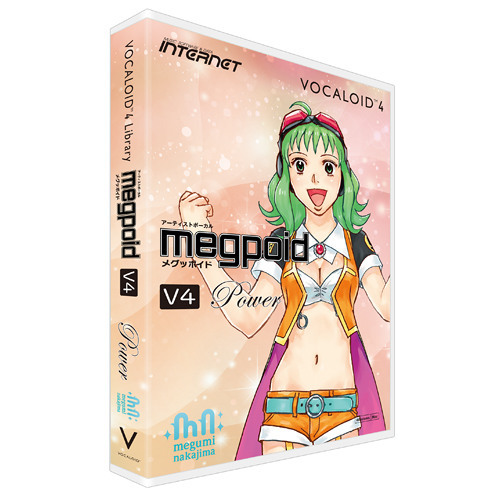 VOCALOID4 Megpoid V4 Power [PowerFat] by INTERNET Co., Ltd.
@sl1997: I believe they are new recordings too because her voice provider would likely have a wide enough range to pull this off too. Just depends on where she recorded her voice from such as her gut to voicing through her nose. Just like how the others are recorded naturally soft styled speaking is more airy etc. @colatte: but um isn't that what gender factor is for..? @ptzptz: not exactly. after listening back to back between the regular and fat VBs, you would notice the timbre and overall tone is much deeper than when actually raising the GEN on the regular voicebank (in which Gumi's samples would sound more warped and raspy in comparison) I would assume they're completely new recordings, but not entirely sure. Fat is technically Gen-ed up?